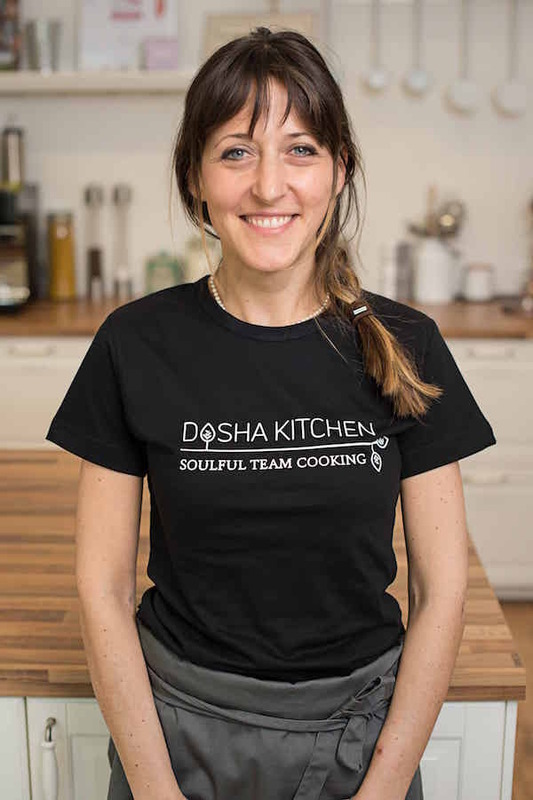 Dosha Kitchen is a culinary coaching project built around the principles of Ayurveda, aimed at improving people’s relationship with healthy nutrition and cooking. 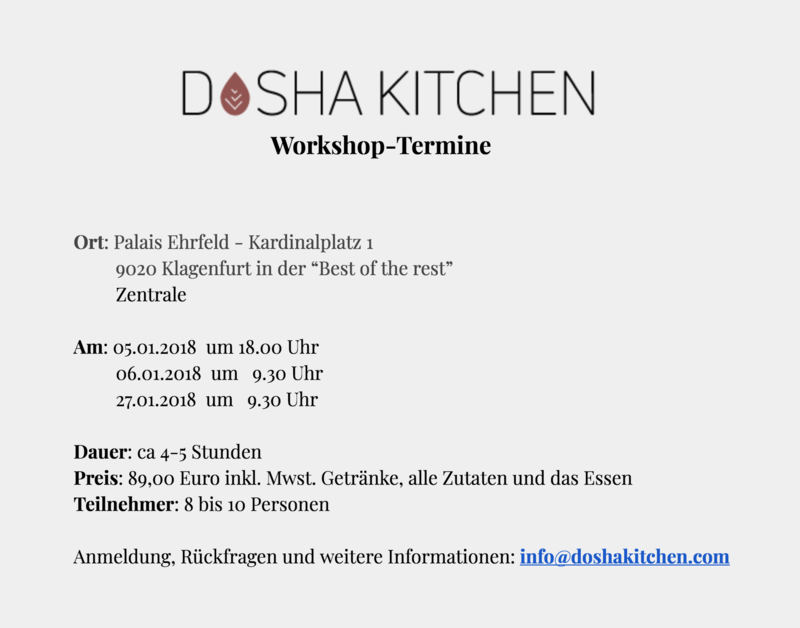 Combining the teachings of the European Academy of Ayurveda and the European Mental Academy , Dosha Kitchen offers cooking group classes, cooking team events, dietary change programs and cooking programs for yoga and wellness retreats in german, italian and english language. Learn more about Dosha Kitchen starting from here. This is a creative cooking class that follows Ayurvedic cuisine where budding Ayurvedic cooks are encouraged to contribute their own ideas. At the beginning of the class, participants are greeted with an aperitif and each is handed an apron. After a short introduction, everyone helps to put together a menu, teams are formed and then its time to get cooking! We will get creative and cook starters, mains and desserts, all in an inspiring atmosphere. Of course, we will also set and decorate the table together before sitting down to our wonderful meal. After all, food should appeal to the eye as well as tickle the taste buds! 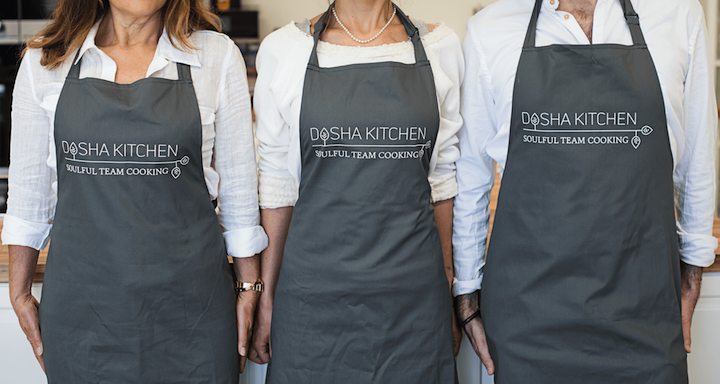 Dosha Kitchen can either come to your office or we can choose a place together where the cooking classes can be held. I prefer vegetarian cuisine and take food allergies and intolerances into consideration. The lessons are usually held between 10 am to 2 pm or in the evenings between 5 pm and 9 pm, but other times can be arranged upon request. 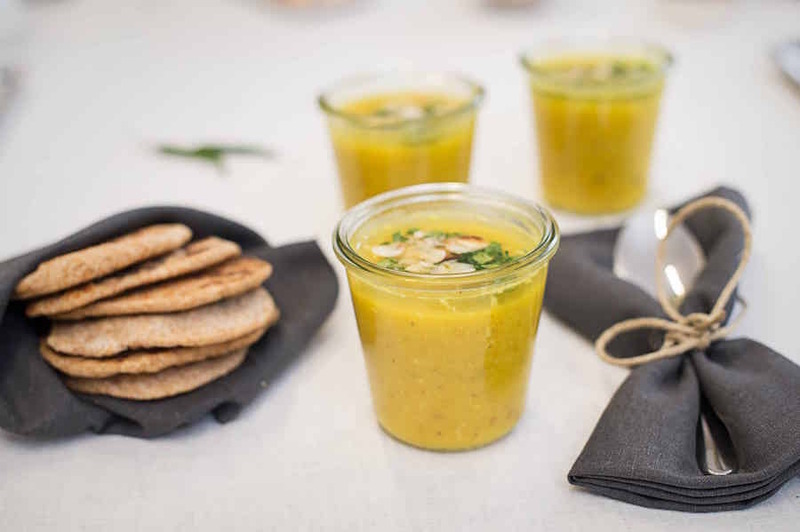 This cooking class includes an introduction to Ayurvedic cuisine, a small lesson in herbalism as well as a 3 to 4 course meal (agni drink: amuse bouche: main course of dahl with two vegetables, 2 chutneys and rice; and dessert). This group course with a maximum of 12 participants is an introduction to Ayurvedic cuisine. Together, we will create and enjoy a 4 course meal to either begin an energy-filled afternoon or end a relaxing evening. 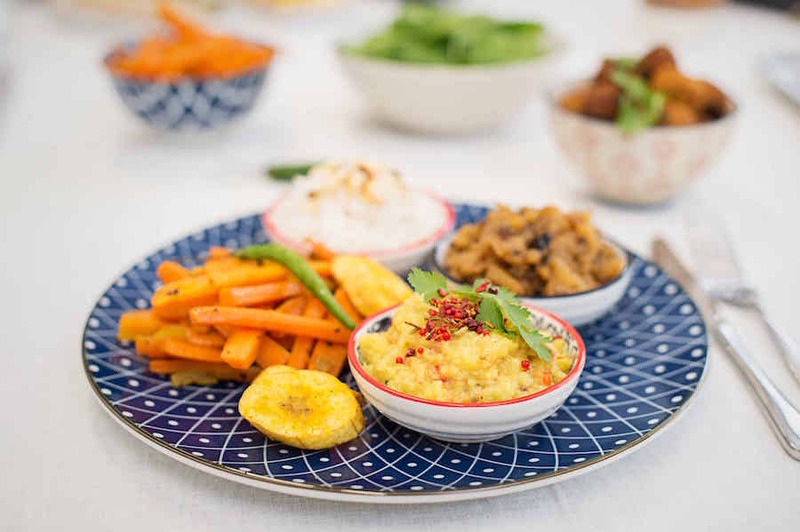 This course supports dietary change and teaches you how to personalise your eating habits to suit your Ayurvedic type. Following the correct diet for your type corrects imbalances that may lead to disease and strengthens your immune system. The course, which includes detox therapy, lasts for a duration of 12 to 16 weeks with meetings on a weekly or 10 day basis. When we meet, we will try out new recipes as well as talk about the changes and experiences we have been through in the previous weeks. These conversations will be about how we have been feeling, meeting the goals we have set, coping with the dietary changes and any changes in well-being we have noticed. Of course, we will also talk about the delicious meals we have cooked! My little mobile kitchen allows me to cook practically everywhere. I put together my menus according to individual requests and wishes, which is why I do not have any pre-written lists. Please get in touch with me to discuss further details. My mobile kitchen allows me to hold my workshops practically anywhere, upon request in Italian and English as well. I have mobile induction cookers, pans and other cooking utensils. 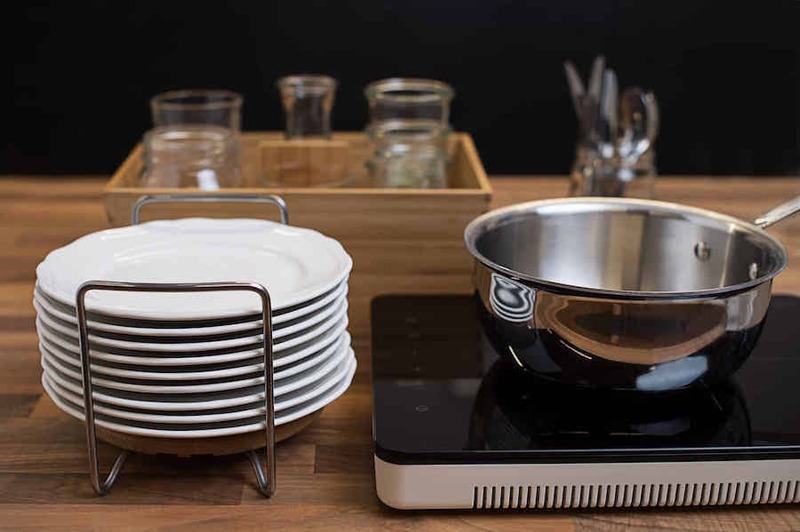 This equipment makes it possible for me to go to any office or other location and conduct my cooking lesson on the premises. All I need is an electrical outlet and running water.
" I completed the Dietary ghange program with Dosha Kitchen, and i have to admit it fixed my bad relationship with food and it hugely improved my lifestyle. Thanks Dosha Kitchen!" The term Ayurveda is derived from two Sanskrit words. Ayuh means “life/longevity” and veda means “science/sacred knowledge”. Put together, this translates to “sacred knowledge of longevity”. In Ayurveda, human beings are seen as whole entities, connected to nature and their environment. Ayurveda teaches us how to become balanced within our selves and our surroundings by living a more conscious and aware life. 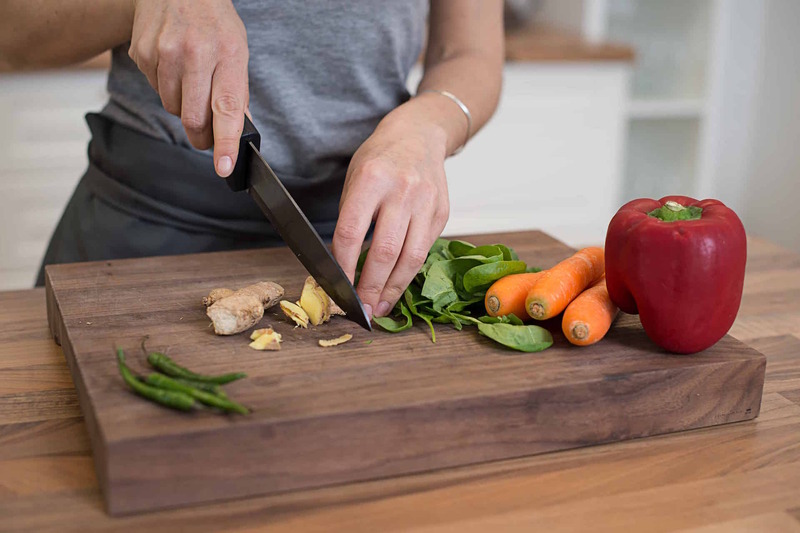 The goal of Ayurvedic cooking is to maintain the harmony in your body or, in case of imbalances, to restore the balance according to your Ayurvedic type. Dosha Kitchen – The three life forces in Ayurveda, Vata, Pitta and Kapha are called doshas. They are said to be responsible for the individual constitutions of all human beings. The three doshas regulate all mind and bodily functions. 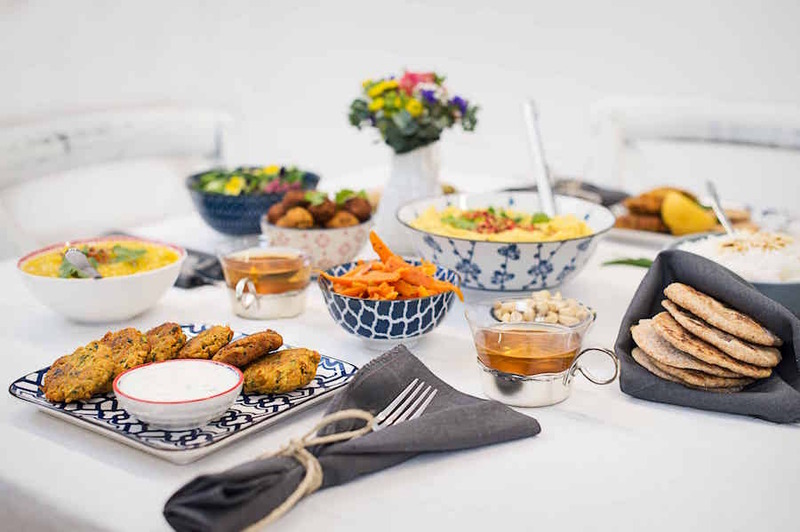 With Dosha Kitchen, I offer a way to learn how to prepare food that follows the principles of these doshas to benefit both your mind and body. 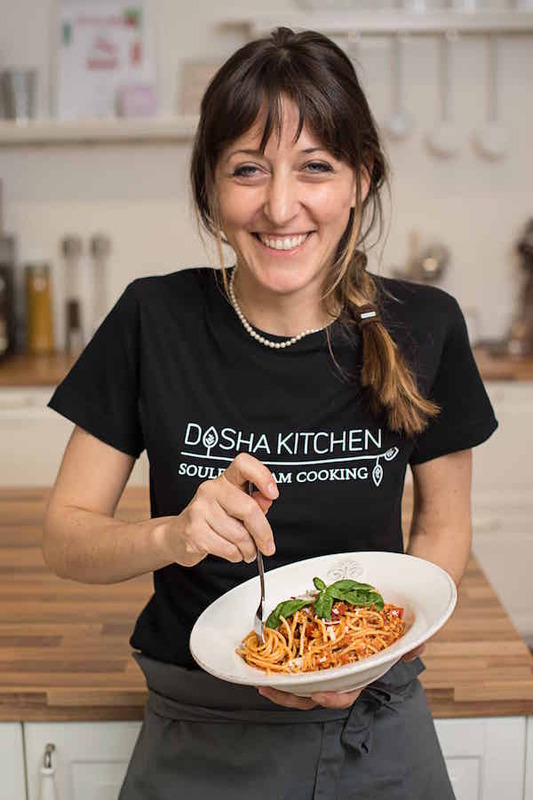 Dosha Kitchen cooking classes focus on the characteristics of individual foods and which Dosha they belong to. I cook vegetarian meals and prefer regional and organic ingredients. In all my cooking classes, I make sure to take food allergies and intolerances into consideration. I was born in Kärnten and grew up in Austria and Italy. 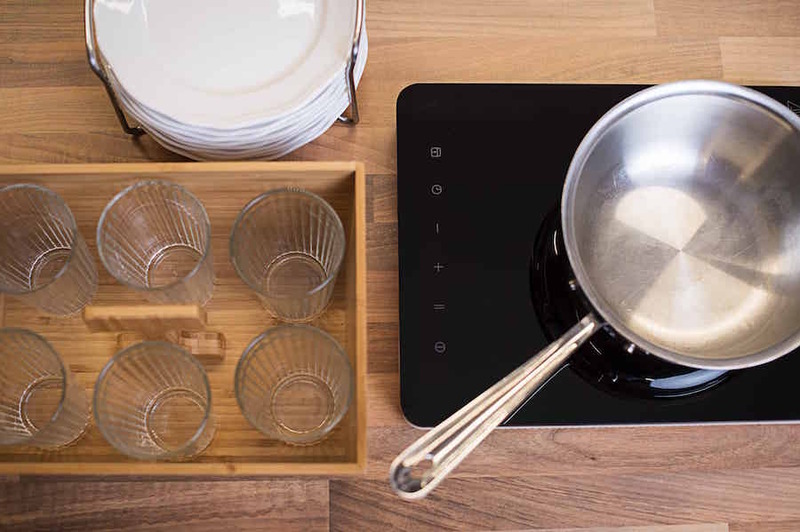 When did you start cooking on a professional basis? Together with my partner, I ran an Italian bistro in Berlin in 2010, where we also offered catering for companies and private events. I was always passionate about cooking, as I was raised in countries where meals are considered to be one of the most wonderful parts of the day. I also enjoy healthy living and am a balanced individual who is very connected to nature. Working in the gastronomic field, I soon realised how important the effect of food was on health and well-being. Sadly, I also learned that the food industry is generally unconcerned about sustainability and is ruining the environment. This has a huge impact on our health. One of the things Ayurveda teaches is that our bodies and souls can be healed through a balanced diet based on some few simple rules. 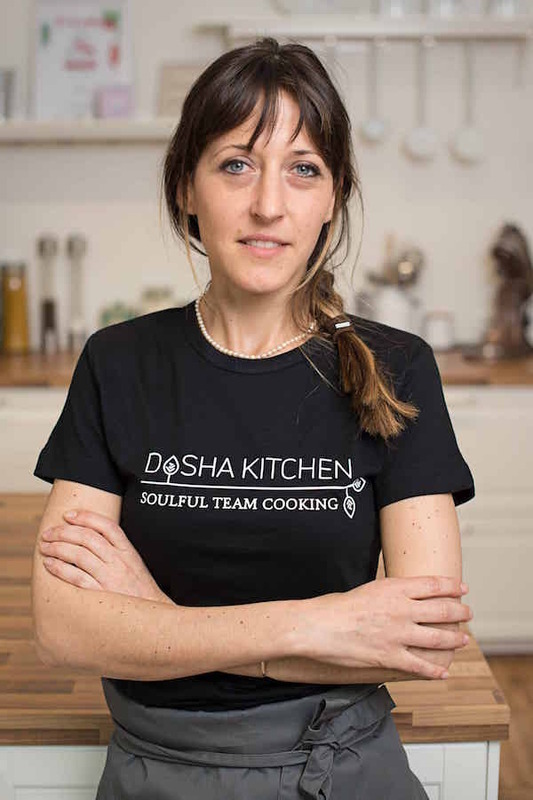 How can Dosha Kitchen improve the lives of your clients? My main goal at Dosha Kitchen is to teach the basic principles of Ayurvedic cooking. 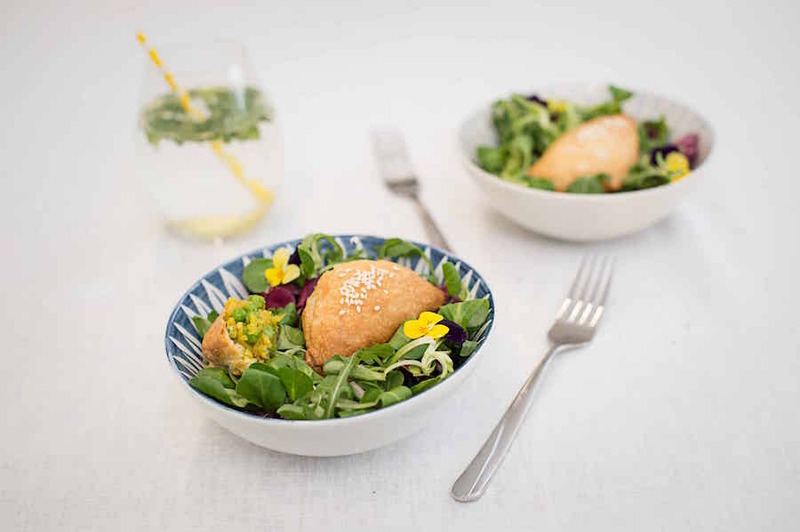 The programme for dietary change is an individual three month course for people who believe in the healing power of healthy nutrition. 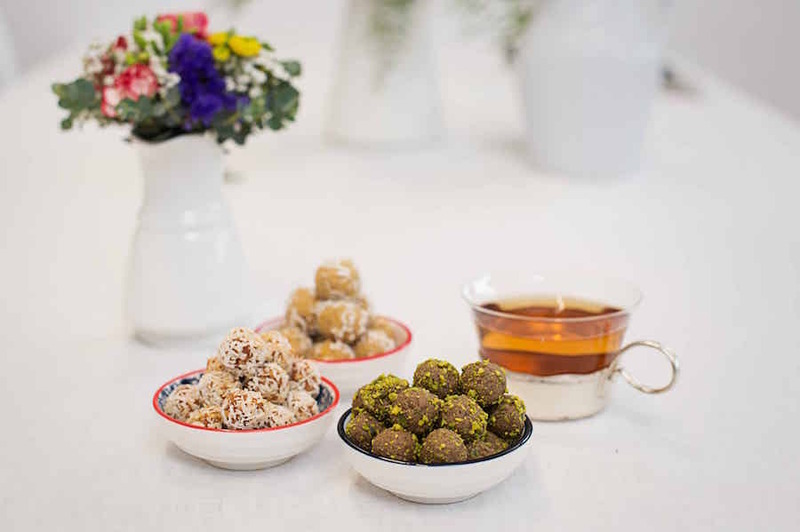 DoshaKitchen team events are cooking groups to foster strong team spirit around Ayurvedic principles followed by an authentic Ayurvedic dinner. What is your favourite past-time when you aren't working? I love practising yoga as well as walking around the Carinthian lakes and mountains. I also enjoy travelling to warmer countries and visiting historic cities all over Europe. Obviously, I love both cooking and eating! Do you have any questions about my cooking classes or would you like an informal quote? Please send me an email and I'll get back to you as soon as possible.